Our prinicpal service lines comprise debt advisory and mergers & acquisitions as well as capital markets advisory. 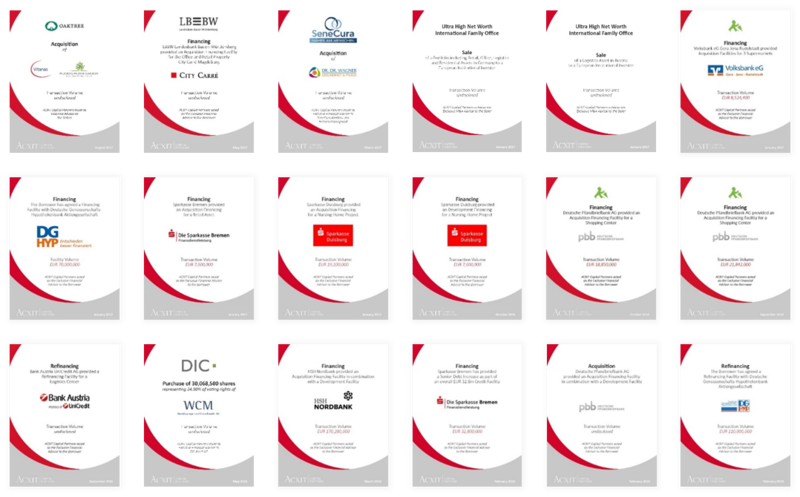 We advise our clients in sell-side and buy-side mandates, acquisition and development financings as well as debt-buy-backs and recapitalizations. 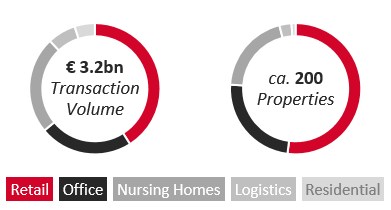 Our expertise covers retail, office, logistics and residential properties as well as operator-managed assets like nursing homes and hotels. 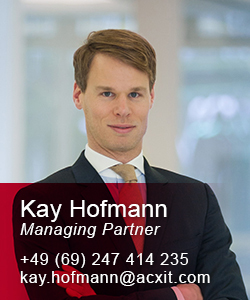 Kay Hofmann worked for KPMG and Apax Partners, where he gained professional experience before he joined First Capital Partners, a corporate finance consultancy specialized in real estate and consumer goods, as Managing Partner. Since 2015, he is a Managing Partner at ACXIT. In particular, he has extensive knowledge in the area of real estate financing and enjoys high level access to the major decision makers at both real investors and real estate banks. 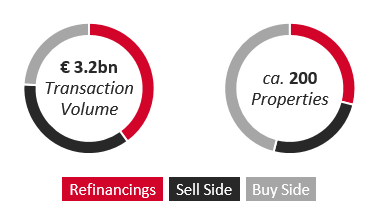 In the last 24 months, Kay has successfully advised on more than 30 real estate transactions, especially financing deals with a volume of over EUR 2bn. Johannes H. Lucas worked in Corporate Finance at Deutsche Bank, KPMG Peat Marwick, Lehman Brothers and as Co-Head Corporate Finance of SBC Warburg Dillon Read (now UBS Warburg) in Frankfurt. In 1999, Johannes founded Acxit Capital Management, which is since 2015 part of ACXIT Capital Partners. In 2001 he was awarded the Capital Entrepreneur Award by the lord mayor of Frankfurt for the founding and build up of Star 21 Networks AG, with approx. EUR 700 m funding the highest capitalized start-up company in Europe to date. 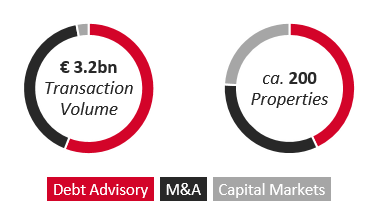 His deal experience includes various Capital Markets and M&A transactions as well as several successful Financing- and Build and Operate projects. 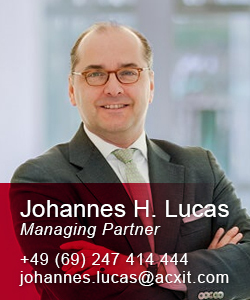 Johannes has extensive experience in corporate restructurings and in the equity business. He is one of the initiators and early supporters of EASDAQ / NASDAQ-Europe and the Neuer Markt and was also a board member of the European Association of Securities Dealers (EASD), the membership organization of EASDAQ / NASDAQ-Europe, for five years as well as a member of the workgroup Finanzplatz e.V. in Frankfurt. Johannes holds a master degree (Diplom-Kaufmann) in Business Administration from WHU Koblenz (Otto Beisheim Graduate School of Management).